I'm always looking for better stories, analogies, and metaphors for Pain Science Education. NOI Group, has what they call Neuroscience Nuggets, and below is a great one! 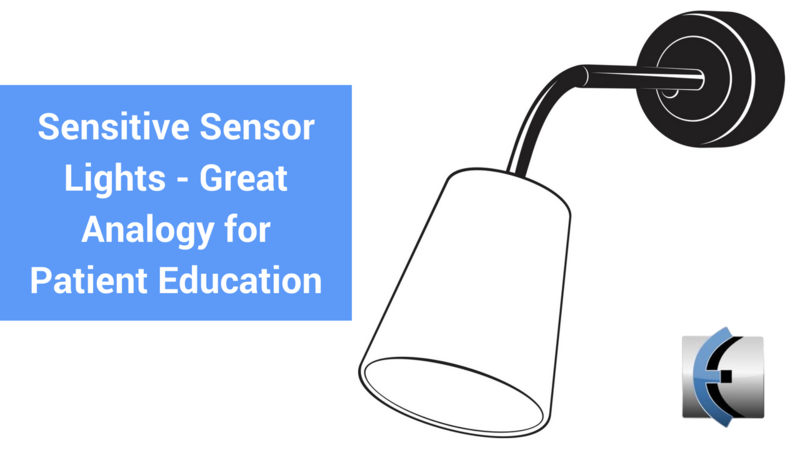 Neuroscience Nugget #30 is Sensitive Sensor Lights, it's a quick video to show to patients how pain is all about sensitivity and not necessarily damage or what you see on a scan. Make sure to check out their youtube channel and I highly recommend their seminars!